George Filipovic is the co-editor of One Throne Magazine, which he founded at Dawson City, Yukon in 2014. The magazine publishes all genres and writers from all nationalities. In its first year, two of One Throne’s stories were named “Notable” by two Best American anthologies (Best American Essays and Best American Science Fiction and Fantasy). Another story was subsequently made the first chapter of a novel that was bought by HarperCollins India. The magazine has published short fiction written by a 2014 Caine Prize finalist, other short fiction by a 2014 Shirley Jackson Award finalist, and poems from each of the joint-winners of the 2015 Brunel African Poetry Prize. One Throne prides itself on probably being the most diverse literary magazine on the planet. Most issues carry writing from at least three continents, with women and minority groups equitably represented. Geosi Gyasi: You practiced law in your hometown, Toronto, before leaving for the Yukon in 2012. Can we dwell on the Yukon for a while? Could you tell me anything about the Yukon? George Filipovic: In summers we get about 20h days, in winter we get about 20h of night. We have mountains, forests, grizzlies, moose, and caribou everywhere. The women and men are independent and many are extremely creative. We have a lot of eccentrics, including one man who lives in a cave. The Yukon is a Canadian territory that is far up north, a neighbor to Alaska. We’re about the size of California but with only about 35,000 people. There’s rarely anyone around to tell you what you can or can’t do. At the same time, the communities are close-knit. You may have heard about the Klondike Gold Rush. “The Klondike” is a region in the Yukon – my home region. Finally, there’s a literary culture here, especially in Dawson City, where I live. A good number of stories have been written about the Klondike, but beyond that, three well known writers have lived in my “city” of 2,000: Jack London (“White Fang”), Pierre Burton (“Klondike”), and poet Robert Service (“The Cremation of Sam McGee”). The most-prestigious writing residency in Canada, Berton House, is still located here in Dawson, so we’re spoiled with always having top writers coming through. There’s also an art school in Dawson and a visual artist residency. It’s an inspiring place. Geosi Gyasi: Why did you decide to leave Toronto for Yukon? George Filipovic: A defining moment that I always comes back to is being downtown on a Sunday night at 10pm. There was a line-up of about 30 cabs waiting outside my office building because so many people were still inside, working. Cities are all about money, all about work, and people generally don’t have time to take a breath or sit down and think. In Toronto, work consumed most of a person’s waking hours; your employer benefited from your life more than you did. I had to get out. Geosi Gyasi: It is a fact that the official languages for Yukoners are English and French. Do you speak both languages? George Filipovic: No, I don’t. My parents tried to teach me French, enrolling me in special classes and so on, but it just wouldn’t take. I’m English only (and some Serbian). Geosi Gyasi: Why the name One Throne? George Filipovic: Because I don’t believe in the borders in literature – it’s all one kingdom. You have magazines that talk about publishing the best literary fiction, or the best science fiction, or the best Canadian or American writing, etc. To me, all those boundaries are totally artificial and I don’t respect them. Great writing is great writing, regardless of subject matter (in the case of genres) or where the writer comes from, or anything else. The literary world is one kingdom, one throne. Our magazine publishes the best writing from that one kingdom. By the way, I like that answer enough that I’m going to update our “About” page. Thanks for asking this. 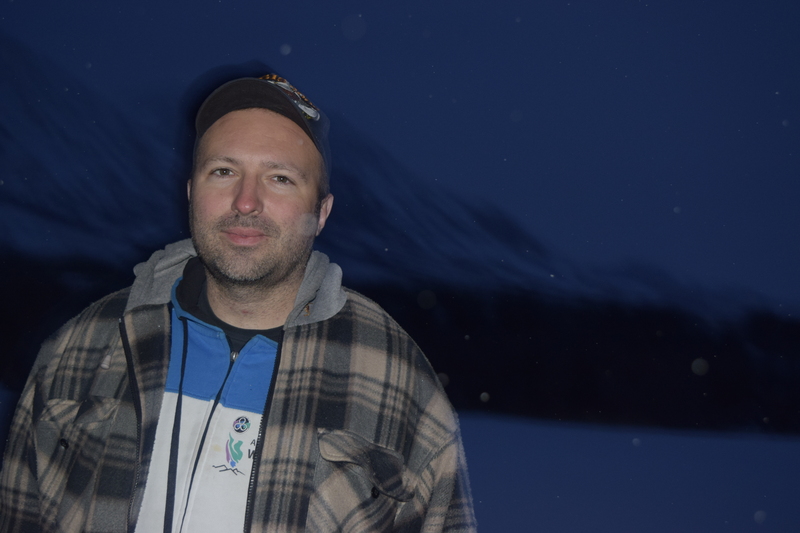 Geosi Gyasi: Your fellow editor, Dan Dowhal is a Yukon-based writer, producer, and educator. How did you meet him? Could you tell us something about him? George Filipovic: I met Dan at the “Dawson City Print and Publishing Symposium” in 2012, my first year in the Yukon. 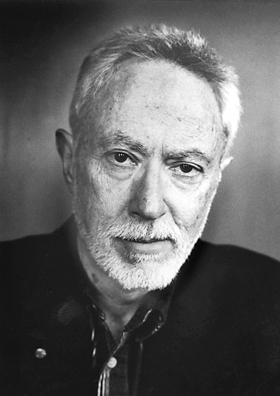 Dan has two novels to his credit, and in 2012 he was the Berton House Writer-in-Residence. After his residency was done, he decided to stay permanently. Like me, Dan’s originally from Toronto and escaped the suit-and-tie life (for him it was the computer company IBM). Geosi Gyasi: There are a number of First Readers for One Throne Magazine, which I assume, read and give feedback on submitted manuscripts. How did you select your first readers? George Filipovic: When we have a vacancy, I post an open call on One Throne’s Twitter or Facebook account. It’s amazing how generous the writing community is and how many people are excited to apply. I ask candidates to email me their CV and to answer several interview-type questions. I try to make sure our staff has a balance genders and that people of colour are represented. It’s important to me to have access to a wide range of opinions, and a great way to achieve that is to have a staff with a wide range of experiences. One type of audience may be indifferent toward a submission, but another type may really love it. And if all the readers can agree on one submission, then I know we have something truly special on our hands. Geosi Gyasi: Is there any special reason why you decided to opt for publishing on quarterly basis? George Filipovic: In the beginning our main concern was making sure we could be very selective and only publish quality. Our worry was that if we churned out too many issues, we might have to fill space with work we didn’t love. Besides that, both Dan and I were (and are) very busy with other responsibilities. Today One Throne’s grown and is taking up enough time that we’re actually considering going biannual. Geosi Gyasi: How is the whole process of accepting and rejecting manuscripts carried out at One Throne? George Filipovic: We receive most of the submissions over our website. I think that at last count, the average was about seven submissions per day. On top of that, I directly solicit submissions from writers and poets I enjoy. When any submission comes in, it’s voted and commented on by the First Readers. Their votes and comments help identify work that I should take a closer look at. In the end, I make the final call on whether to accept or reject a submission. Dan is busier than I am with non-magazine ventures, so he only gets involved with the borderline submissions, when I’m unsure. Then after a submission is accepted, Dan and I closely edit it with the author, especially if it’s prose. Geosi Gyasi: What do you think of other literary magazines who charge reading fees? George Filipovic: I’m against reading fees. I’m a strong advocate of enhancing diversity in literature. The Atlantic mentioned this in a recent article, and I’ve also been saying this for quite a while: Reading fees squeeze out writers who can’t afford to pay $3 every time they need to make a submission. Keep in mind that writers, on average, need to submit a story 10 or more times before it finds a home (i.e., One Throne’s acceptance rate is <1%, and there few mags, anywhere, with acceptance rates above 10%). That’s at least $30 per story, and perhaps more than $30 per month, every month, if you’re submitting more than one story. The lower class can’t afford that. So what happens? Magazines who charge these fees won’t receive stories from the lower class – voices that the whole of the literary world supposedly wants to hear more from. 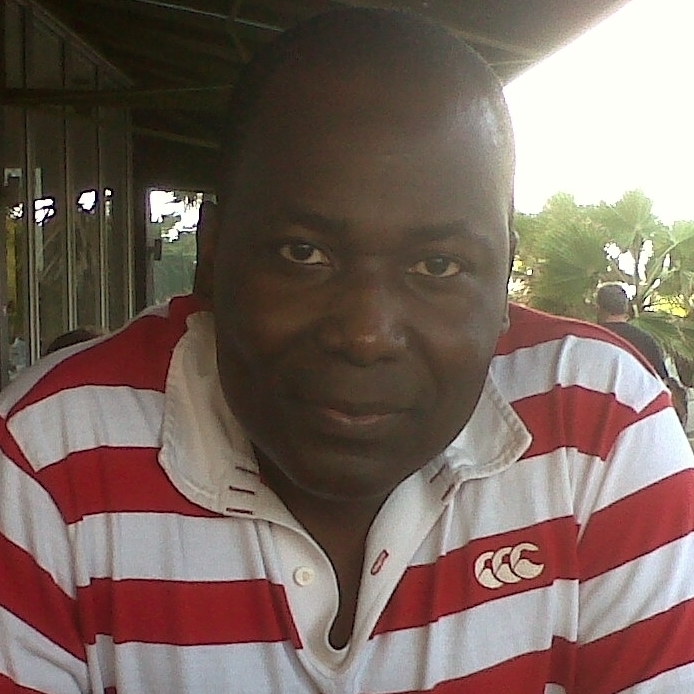 Geosi Gyasi: Is it likely that in the near future, One Throne will pay writers? George Filipovic: With cash, probably not. Right now we do the best we can, trying to show our value for writing in other ways: for example, pairing writing with donated art. I’m a “burner” who has been heavily influenced by Burning Man, which is a totally noncommercial, but awesome, creative event. For One Throne, there are two big problems with cash, of which the second is more important. First, we don’t have any cash. Second, I’m not sure we can get our hands on it without selling our soul. Cash is a controlled by a narrow group. It’s controlled by the middle and upper class, of whom most live in western countries, of whom most are white. I don’t want to be in a position where our mag must cater primarily to that narrow audience, to print writing that pleases that narrow audience. If we were chasing money, I’m not sure we would’ve been able to print a story like “The Second Coming of Dambudzo Marechera” – our most popular story ever, which found a large audience in Zimbabwe, just probably not an audience with a lot of money. It would’ve been a tough business call. The story would’ve cost quite a bit to buy, yet I’m not sure the middle or upper class would’ve been motivated to donate enough to us to recoup it, because that story wasn’t primarily directed at them. Though things are slowly improving, too many western readers can still be quite narrow minded; it’s still hard to convince some of them to read a novel or even a short story if the writer’s name sounds strange to their ears. If our mag was dependent on cash, and catering to that audience, I worry we’d be forced to be the type of literary magazine I don’t want to be. The donated art though – that’s been a godsend. Visual artists donate their art to accompany each poem or story, and have probably made us one of the most beautiful magazines on the internet. One writer wanted to have her story’s art tattooed on her body. For some writers, the accompanying art is a very big deal. We also offer our issues for free, so the writing can reach a broad audience worldwide, not just readers who can afford to pay for subscriptions (up to $15 per issue in Canada). That, too, is important to a lot of writers. Next year we’ll probably up the ante. I’m still new to the Yukon but have started making some handmade products (nothing too fancy – I don’t have the skills yet). Beginning in 2016, I’ll probably mail them out to contributors as a thank you. Basically, if you’re looking for cash specifically, you likely won’t find it with us in the near future. But if you believe other commodities besides cash can hold value, that’s a different story. Geosi Gyasi: How do you make money running One Throne Magazine? George Filipovic: I don’t, but money was never the object. The combined expenses (Submittable, web host, web name) are approximately $1,000 per year. Since being founded, we’ve had about $150 donated. Geosi Gyasi: Do you have any formal education in publishing or editing or writing? George Filipovic: No. My talent is one that I think grows naturally from a lot of reading: I can look at a story in a broad sense, and tell what works or doesn’t. Dan, the other editor, is formally trained and is a wizard with the technical rules. Geosi Gyasi: You are an experienced criminal defence lawyer who practices at both the trial and appeal level. I’m not sure if you’ve ditched away your law profession? George Filipovic: Yes, after eight years I quit law in 2012 and hope to never go back. I’m a much bigger fan of initiatives like restorative justice than I am of law and courts. I’m not a fan of resolving conflicts by using an adversarial system. That doesn’t seem like a very smart thing to do. It’s definitely not fun to be part of. Geosi Gyasi: Before you even became a lawyer, you assisted in prosecuting alleged war criminals at the United Nations’ International Criminal Tribunal. How was it like working at the United Nation’s International Criminal Tribunal? George Filipovic: Wonderful. As the cliché goes, I guess I was more idealistic then. The UN is like a microcosm of the world. My coworkers hailed from what seemed like every country, it was eclectic. And all the work had ramifications on an international scale. I was there in my mid-20s and at times it seemed surreal. Geosi Gyasi: I can’t believe I am asking you this – but are you a writer yourself? George Filipovic: Everyone has a different interpretation of what it means to be a writer. As for me, I rarely seem to have time to finish my own stories, so no, I wouldn’t call myself a writer. That would be going too easy on myself. Geosi Gyasi: What are your hopes, dreams and aspirations for One Throne Magazine? George Filipovic: I want the great, underappreciated writers to get their due. And I want to motivate all audiences, not just the western middle/upper class, to participate in literature by giving them the chance to read writing they can relate to. In the first year and a half I think we’ve done that, and we’re going to keep doing it. I’m a huge fan of writing from African countries, which I think is the most-heavily underrated right now. Because of colonization, I wouldn’t be surprised if there were more English-language speakers in Africa than in North America. But few people in North America read African writers; they make a lot of assumptions (“Won’t writing from Africa need to be translated?”). I wish more North Americans would pick up the annual Caine Prize Anthology of African Writing, or the Granta Book of the African Short Story. For example, I don’t know if there is any person, anywhere, who wouldn’t find Jennifer Nansubuga Makumbi’s Kintu – which is flying off the shelves in Uganda, but can’t even find a publisher in North America – or Olufemi Terry’s short story “Stickfighting Days,” to be among the most affecting prose they’ve read. And for something much lighter, I’d suggest “The Intervention” by a writer who later appeared in our own pages: Tendai Huchu. There is a huge, vibrant world of stories out there that not enough westerners know about. Finally, I want to bring people together. Literary fiction isn’t always dull, SFF can be poetic, and poetry doesn’t have to be impenetrable. There are so many cliques in literature, and each seems to make wildly inaccurate assumptions about the other. I want to run a different kind of literary magazine and open people’s eyes. This entry was posted on Friday, November 6th, 2015 at 9:17 am and is filed under Uncategorized. You can follow any responses to this entry through the RSS 2.0 feed. You can leave a response, or trackback from your own site. Geosi, thank you for this! Elma Schemenauer CONSIDER THE SUNFLOWERS: 1940s-era novel about love, Mennonites, faith, & family. Set in Vancouver & rural Saskatchewan. Order from Chapters online http://tinyurl.com/ny8smwk or Borealis Press http://tinyurl.com/lfdo9pf . More info at http://elmams.wix.com/sflwrs . Hey everyone. This is an interview I did with the great Geosi Gyasi about all things litmag. He didn’t beat around the bush, he went for the throat. He asked if One Throne will start paying writers with cash soon, my stance on submission fees, and what the heck the name One Throne stands for. We also talked a bit about what my life is like in the north and sundry wondrous things. I really had a great time, I hope you check it out. George and his Co-Editor, Dan Dowhal, are gifts to more obscure writers and for readers who want to be entertained by stories from around the world. I enjoyed reading about George’s life, about somebody who actually cares about literature and the people creating it. One Throne, people! Check out this terrific interview with One Throne editor, George Filipovic. There’s not only a lot of useful/enlightening information here about a young, strong (free!) literary magazine, but also some great arguments for reading beyond our regional biases and checking out authors we might never have considered before. Great post, Geosi Reads, and thank you! Oh wow… Geosi reads George! I love it. Reminds me it’s time to submit more poetry to One Throne Magazine, who took a chance on me back in 2014. And reminds me again of the good work that Geosi does in sharing the backstories of so many great people. Always, always, asking great questions. A joy to find this interview today!